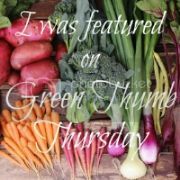 The Green Phone Booth: Dealing with Mosquitos: I Need Some Help! Dealing with Mosquitos: I Need Some Help! Our first summer in our gorgeous new (to us) yard, with a babbling brook, trees, flowers and birds.... and mosquitos. Lots and lots of mosquitos. 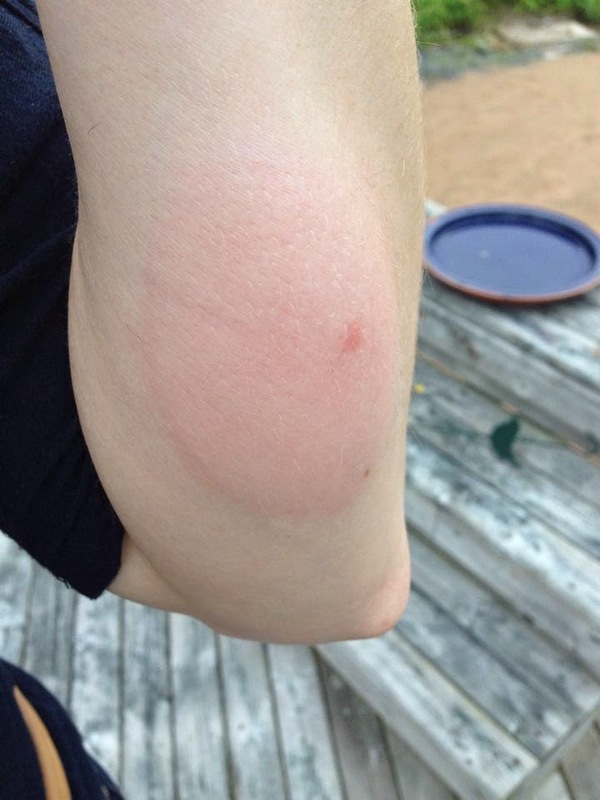 Two weeks ago I discovered that I am allergic to mosquito bites. Not just, oh they swell a bit or look a bit more red and itch, but like each bite swells the diameter of two to three twonies (or a baseball for non-Canadians ;) ), hurts like I don't know what, leaves bruising for weeks afterwards and looks disgusting. I've always been sensitive to mosquito and black fly bites. Growing up with a cottage, it's not like I'm not used to living with flies. I have pictures of me as a pre-teen playing badminton on a wrigged up net decked out in full fly netting gear. I did my fair share growing up of spraying DEET liberally all over my body. It makes me shudder to think I spent summers inhaling that stuff. I am not really a city girl at heart. I refuse to buy fly repellent filled with toxic chemicals. But I really don't want to spend my entire summer stuck inside, nor do I want to get bitten on my face and have a huge swollen monstrosity on MY FACE. So what are my options? A few months ago we were gifted a citronella plant. Yay! I managed *not* to kill it (bonus!) and will be propagating the plant to have many all around our deck. Woo! So that was step one. So far though, sitting next to the plant doesn't seem to really do anything. I'm still swarmed with flies. We also bought a bat house months ago and put it up. Sadly, I haven't seen anything around it... so I'm unsure if there is a family there this year. Maybe it takes a few years for the bats to find the houses? Anything else I can do to attract bats? I'd also like to build swallow bird houses. I happen to have a friend who is doing her PhD on the environmental impacts of swallow nesting... so I should ask her. I have to make the birdhouse squirrel and crow/raven proof though- so it may need reinforcement around the entry hole. Wearing covering clothing doesn't really work. My first few bites were THROUGH JEANS. Mosquitos are crazy suckers who will bite through anything. A few months back I made citronella, peppermint and lavender soap. It smells AWFUL. Oh it stinks so bad. Just mixing it was making me gag. Something about the citronella essential oil. Barf. Sadly, the terrible smell has only decreased slightly with curing. AND I realized there was NO WAY I was going to wash myself in the morning with that soap and smell like that all day. Ew. I did try soaping up my arms, next, ears and hands right before going outside to see if that would be enough to deter mosquitos.... and no. Got TWO bites that night. My latest strategy was melting down a bar of soap (cuz the essential oils were expensive and I really didn't want to buy more), adding almond oil and then slathering that all over myself before going outside. Tentative results: positive. There were still some mosquitos buzzing around, but instead of biting me they seemed to prefer Andrew (which is typically NEVER the case). I smell disgusting and have to wash my body before bed, but I am cautiously optimistic. Last strategy: Avoid going outside during peak mosquito/black fly hours: dawn and dusk. Do you have any other strategies that I haven't mentioned here? I would love to hear them! Ug, those bites look terrible! I think you covered all of my suggestions - cover up, encourage birds (they have moved in and done away with all the flies around our chicken coop). I'm really sorry! Good luck! Make sure you don't have any pools of standing water for the mosquitoes to breed in. I also find burning citronella oil in lanterns helps as does an outside fan. Mosquitoes are horrible here this year. EcoSmart bug spray is the one I use because most natural ones have ingredients I'm allergic to, like cedar oil. It seems to work pretty well just reapply often! For the itching, take pure lye soap, wet it, rub it on the area and don't rinse. oh those are great suggestions! I'm going to purchase some citronella oil and a cute lantern today! Also- I'll check on the brewer's yeast and ecosmart bug spray- not sure if we have it around here. You poor thing! I have had good luck with Terrashield oil blend - I dilute and spray everywhere. I put lavender on the bites when I do get them and that helps the itching. It really is a wierd year for bugs. oh dear - they are really biting you through your clothes? that was the only solution that actually worked for me in our mosquito infested backyard two years ago - covering myself head to toe, including a mosquito head net. citronella and other plants and citronella candles didn't really do a thing. we also tried spraying our yard with garlic spray, but that didn't do anything either. one thing that does help for when you want to sit and lounge is a fan, but you need a whole bunch of them to blow at different angles to keep them off your whole body. like one blowing at your feet, another blowing at your upper body. mosquitos have a hard time landing when they are being blown around in the wind from a fan. Dear I'm from Puerto Rico. We have mosquitoes that come at you in battalion-sized units. If citronella worked, the whole island would stink of it. It does not work. You wanna know what works? 1. Keep the grass mowed short, keep as much foliage away from your home, do not allow for any shaded areas. That means no English gardens. 2. No standing water. If the brook stops running.....drain it. 3. DEET. We swear buy it in the Caribbean. Like it or not it is safe. Here's the trick with Deet. Don't put it on your skin - put it on your clothes. I always wear a very large brimmed hat. I spray the hat. Because mosquitoes are attracted to CO2 you breathe out they tend to start at the top of your body. Yes eventually they will find your knee or ankle, but more often than not I haven't been bothered by them this year, and it has been a great year them, as opposed to the last two years of drought. Have you tried geranium essential oil on your clothing? (careful where you put it as it will leave a stain) it smells lovely to us and repulsive to bugs. Should you get bitten all the same a drop directly on the bite can help the itching. Read somewhere that bugs are attracted to a certain kind of blood - the hotter the better - are you hot blooded?!! that's why some of us get bitten more than others regardless of what we slather on our skin!!! Poor you. Your reactions are much worse than mine and my children's (only dime to quarter sized lumps). Benadryl may help with the swelling, if taken as soon as the swelling begins. Also, I have put ice packs on the worse and it helped with some of the pain and swelling. If you have standing water, French drains, saucers under flower pots, or just area where water tends to stand, get some mosquito dunks made of BTI. BTI kills the babies. Keeping the grass cut short and the trees and bushes trimmed so that the branches are over head height and the plant is open, also helps. When wearing pants and long sleeves, don't wear tight or form fitting because as you discovered the bugs can bite through the fabric. Rather wear looser fitting clothes. Fringe may also help by moving and disturbing the nasty bloodsuckers. We also avoid being outside during the worst time for mosquitoes -- early morning and dusk. This is hard in the southern US where the temperatures can be unbearable after 9:30 AM and before 7:30 PM. Ugh, I hope you find some workable solutions soon! The primary active ingredient is Geranium Oil, so maybe give that a shot along with the other essential oils? I was always getting bitten, but you know what I bought that worked SO well? Lemongrass-scented lotion. I found it at a farmer's market in Bluffton, SC, from a little mom-and-pop thing that I don't have any idea how to find. BUT. I'm sure you could cobble some together with unscented lotion and essential oil, or perhaps find some somewhere online or near you. It's seriously incredible. thank you everyone so much for your suggestions! I am going to try some geranium oil, and play around with some other EO scented body oils. I do feel like a fan, some scented oils in burners and perhaps loose fitting clothing might be helpful. My MIL swears that pinning a dryer sheet to your clothes does the trick. I'm going to try that for my daughter who gets nasty bites too. And my parents have good luck with a device called a Mosquito Magnet that uses carbon dioxide to attract the bugs. Look into a mosquito clicker! I am not sure if you are in the US (you cannot buy it here), but if you are in another country, you should be able to order/buy one. A missionary friend brought us one - they work for mosquito bites, snake bites, wasp/hornet stings, etc...it neutralizes the poison of the bite. My children got attacked by wasps at a cottage one year - they were covered in stings!! We used the clicker and within minutes the swelling was down and they never felt the need to itch. By the next day or two, it was very difficult to even find WHERE they were stung! My husband absolutely hates the smell of citronella, but I don't mind it. I made a spray with purified water and a few drops of citronella oil and spritz it on my clothes and exposed skin when I go outside in the morning and evening. I also just avoid going outside during the bad times. I have also read that DEET is safe too. Hi, I really enjoyed reading your article. Will bookmark for later. Lots of interesting stuff. Plant It and They Will Come: A Success Story!